Tara Carr is an MBA graduate of AACSB accredited Saginaw Valley State University. She earned her Bachelor’s Degree in Business Administration, specializing in Human Resource Management and Labor Relations from Bowling Green State University. Currently, she is studying for a Ph.D. in Leadership Studies with Marian University. Following the completion of her MBA, Carr launched into the business world and worked as a Human Resource professional for Aon Consulting, Right Management and Hewitt Associates. Her work with these Fortune 500 companies allowed her to travel throughout the country by managing high level clients. In 2007, she transitioned from the corporate world into a passionate and purposeful career in higher education. She began as a faculty member at Concordia University Wisconsin and shortly thereafter became the Beloit Center Campus Director and then the Appleton Center Director. Tara is presently the Director of the Small Business Development Center at the University of Wisconsin Green Bay. Tara began her career as an entrepreneur in the restaurant industry in upstate New York. Over the past twenty years of restaurant entrepreneurship, management, and strategic leadership roles, Tara brings a wealth of experience and insight into the business development community and in the classroom. As a senior faculty member at Concordia University, she teaches in the Business Administration and Human Resource Management Bachelor, MBA and OLA Programs and also within the undergraduate Business Administration program at UWGB. Tara’s subject matter expertise is leadership/management, business operations/strategy and creating business plans. Results-oriented, business leader with more than 30+ years of progressive experience. Leadership achievements include returning a business to profitability, implementing modifications and upgrades to existing product offerings to meet evolving customer expectations, introducing process and procedure revisions that achieve operating efficiency and profitability. A Strategic Partner with professional insight for in-depth understanding of business activities as an entrepreneur, marketer, as well as a banker. Committed to asking questions, researching data, providing market insight, acilitating the planning process, and yes--executing the plan. Specialties: Strategic Planning and Execution, Business Model Design, Market Strategy Development, Media Planning, Advertising Placement (Traditional and Digital Mediums), Business Plan Development, Financial Models, Entrepreneurship. 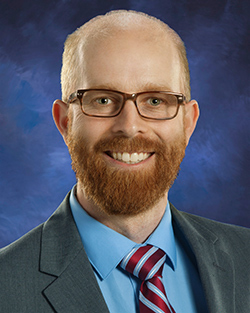 Ray York, native to Eau Claire County, joined the SCEDC as an Entrepreneurship Specialist in 2018. His position is part of a collaboration with the Small Business Development Center at UW-Green Bay, and he will be working in coordination with the SBDC as a business counselor. In addition to his position at the SCEDC and SBDC, Ray is President of York Estates, Inc, which has owned The Rochester Inn in Sheboygan Falls since 2016. Ray earned an Associate’s degree in Geographic Information Systems from Chippewa Valley Technical College, while also working full-time as a butcher & intern at C.H. Robinson Worldwide, Inc. While living in Dallas, TX and later Milwaukee, WI, Ray began working on his Bachelor of Arts in Business Administration degree through Lakeland University’s BlendEd program, graduating in 2006. After graduating from Lakeland University, Ray accepted a position in transportation sales and large account management at C.H. Robinson. For fun, Ray moonlighted as a beer vendor at Miller Park during Milwaukee Brewer games. After leaving C.H. Robinson, Ray spent four years raising his two children, Milla and Flynn, and dog, Mikey, that he shares with his wife, Kelly. Ray enjoys bowling, hiking, camping, canoeing, cooking, anime, and traveling. Ray currently serves on the board of directors for the Sheboygan Falls Chamber Main Street, participating on the Economic Development Committee, and working as the Tourism Liaison for the Tourism Committee.